How do I complete registration if I don't fall under one of the Vendor types? The selection of Vendor Types available during Vendor Registration is a custom setting that individual Organizations can set on their Portals. 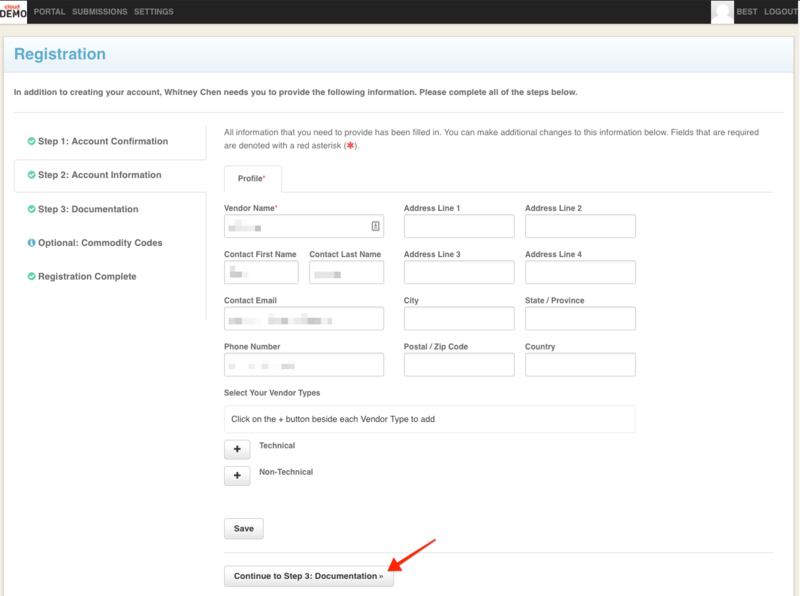 If you are trying to register through an Organization that has Vendor Types as one of their fields, but you do not fall under one of the Vendor Types that they have defined, you can simply click Save and then the Continue to... button to proceed with registration.